Andy Slavitt began his statement at the Datapalooza conference with encouraging words for those of us who believe that the measurement craze has been a disaster and that MACRA will make it worse. Slavitt claimed to be in favor of electronic medical record “reform” that “works with doctors, not against them.” He seemed to say he understood MACRA could aggravate the damage that “meaningful use” and the pay-for-performance fad have already inflicted on doctors. The “data paradox” as Slavitt described it is not fixable with changes in “technology.” It’s the mindset of people like Slavitt that has to change. The “data paradox” will be fixed only when Andy Slavitt and other proponents of the measurement craze terminate the craze or, at minimum, drastically reduce measurement activities. That in turn will require that Slavitt et al. concede that they have vastly oversold what measurement and “data feedback” can accomplish and have vastly underestimated the cost of chronic measurement. There is no “data paradox.” Physician hostility to being turned into data entry clerks so they can receive mountains of data back from CMS and other insurers can be explained very simply: The data they get back is either worthless or at best useful for generating hypotheses that physicians have neither the time, money nor training to prove or disprove. The data is not, as CMS likes to say, “actionable” by the physicians who receive it. The data is not actionable because it is inaccurate or, at best, too abstract. Usually the data is both – grossly inaccurate and uselessly abstract. The inaccuracy is caused by two problems: The inability of CMS and other insurers to “attribute” patients accurately to the clinics that treat them (the “attribution problem”); and the inability of CMS et al. to adjust cost and quality scores to reflect factors outside physician control (the “risk adjustment problem”). Technology cannot solve any of these problems. It cannot solve the attribution and risk-adjustment problems, and it cannot make the data less abstract without making it more inaccurate. Andy Slavitt and his allies in the managed care movement need to be deprogrammed. The deprogramming has to occur in two steps. First, Slavitt et al. must be disabused of the illusion that the data that CMS collects and throws back at doctors is “actionable,” or in the Mother Tongue, useful. Once this is achieved, the “data paradox” will disappear. Next Slavitt and his allies must be persuaded that improvements in technology (slicker EMRs, more interoperability, whatever) cannot solve the problems created by the measurement craze. During this phase of the deprogramming, Slavitt et al. must be persuaded that the problem is sloppy thinking by those who promote the measurement craze. Conversely, they must be persuaded the problem does not lie anywhere else. The problem is not “resistance” by doctors. It is not stupid patients. It is not “bad technology.” It is cult-like, mulish, sloppy thinking on the part of people who have the power to inflict bad policy on the rest of us. The best evidence that CMS’s “data feedback” is almost totally useless is the inability of CMS and the researchers who evaluate CMS demonstrations to articulate what the feedback is good for. For the last three or four years, CMS has been giving “data feedback” to physicians who participate in the Medicare ACO programs (Pioneer and MSSP) and all three of the “medical home” demonstrations. CMS has hired researchers to evaluate these demos (it appears CMS does not intend to evaluate the MSSP demo). You can read published evaluations of these experiments from cover to cover and find no useful information on what function the data served. The single best characterization of CMS’s data I have found is this one by an unidentified doctor quoted in the latest evaluation of the Comprehensive Primary Care Initiative, one of the three “home” experiments CMS has conducted: “[The report] leaves it up to us to try to figure out how to study that [the cause of high costs]. So it gives you an aerial view of what is going on but does not help you know where to attack the problem.” (P. 32. Bracketed language in the original) The “report” referred to by this doctor is the quarterly “feedback” report that CMS makes available for downloading. This document contains the latest Quality and Resource Use Reports (QRURs) published by CMS. According to CMS, these reports are prepared for every doctor who treats Medicare patients. 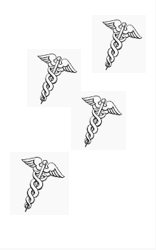 Doctors and their clinics are identified by their Taxpayer Identification Number (TIN). These are the reports CMS expects doctors involved in the ACO and “home” demonstrations to download. It is these reports that CMS and its cheerleaders think will lead doctors to practice “smarter” medicine. If you scroll about half way down the page that opens at the address above, you will come upon a document with the encouraging title, “How to Understand Your 2014 Annual QRUR and Supplementary Exhibits.” https://www.cms.gov/Medicare/Medicare-Fee-for-Service-Payment/PhysicianFeedbackProgram/Downloads/2014-UnderstandingYourQRUR.pdf CMS says you should read this document because it “provides tips on how groups and solo practitioners can use the QRUR … to understand their performance and identify opportunities for improvement.” That word “tips” is your first hint that CMS doesn’t have a clue how doctors should make sense of their QRUR. The waffle words “opportunities for improvement” constitute your second hint. Here are two examples of the “tips” we encounter in this “How to understand your … QRUR” document. That’s it. You “may wish to coordinate,” whatever that means. “Coordinate” is one of those all-purpose managed-care buzzwords. You’re supposed to know what it means even though the word is used incessantly, rarely defined, and never defined with anything resembling precision. And don’t ask what “efficient, effective care” means. That’s for CMS to know and the doctor to figure out. All the “tips” are like this. They are vague, and they never hint at the possibility that CMS’s data could be inaccurate. The possibility that CMS’s data might be far to inaccurate to help anyone figure out why their “performance” is above or below average is beneath discussion. Since CMS cannot offer any useful advice on how to use its data, it is not surprising that researchers who write papers about CMS’s ACO and “medical home” experiments have been unable to offer any evidence demonstrating that CMS’s data is helpful. The best these researchers can do is report that “some” doctors say the feedback is useful and offer an anecdote. For example, Mathematica, the author of the second-year evaluation of the Comprehensive Primary Care Initiative, tells a story about a clinic that said it began to investigate why its ER costs were “above average.” Mathematica did not report any effort to determine what truths the clinic unearthed as a result of its investigation, what actions it took as a result of its investigation, what these actions cost the clinic, and what the results were. We’re simply left with the claim that one clinic told a researcher they took some time to look at the ER use of their patients. Slavitt’s diagnosis of the problem is half right: Doctors justifiably feel they’ve been forced to take time away from patients to enter data for CMS. But it is incorrect to say doctors feel “rampantly under-informed.” They feel rampantly pestered. They feel the bumptious staff at CMS are forcing them to engage in many hours of busywork and all they’re getting in return is abstract and inaccurate data on their “performance.” This problem will get much worse under MACRA. Slavitt’s urgent plea to the IT buffs at the Datapalooza conference to “think bigger” and come up with a technological solution to this problem is wildly misguided. Slavitt should have instead promised his audience that he will use his remaining months in office to eliminate the fire-aim-ready approach to policy-making CMS has promoted for decades and replace it with evidence-based health policy. The first policies he should subject to an evidence-based examination are CMS’s measurement and pay-for-performance policies. Here are two more examples of useless “tips” from CMS. Mathematica reported an odd discrepancy in its data that suggests that the clinics that claimed to find CMS’s data useful were just brownnosing. In response to one survey question about CMS’s data feedback, 90 percent of the “home” clinics (or perhaps the hospital-clinic cartels that own the clinics) said the data was useful. But in response to another survey, 64 percent said they had never seen the reports. (See discussion pp. 30-31.) Mathematica promised to investigate this discrepancy. Knowing which hospital your patient went to isn’t helpful? This is helpful. Thank you. To your point about costs/patient with a chronic disease (diabetes etc. ), a mathematical proof is worth 1000 words. If you to reduce your cost/person with diabetes, you simply diagnose more people with diabetes. That also makes it look like your practice serves a higher-risk population. There is no 30,000-foot CMS metric that can’t be gamed by a doctor with the desire to do it, and they’ll never be any the wiser.